VMCTECH is an Australian company with years of experience and expertise in this specialized fire protection industry. Our sales and customer service team consist of skilled technicians who deliver concise and experienced answers to any questions. 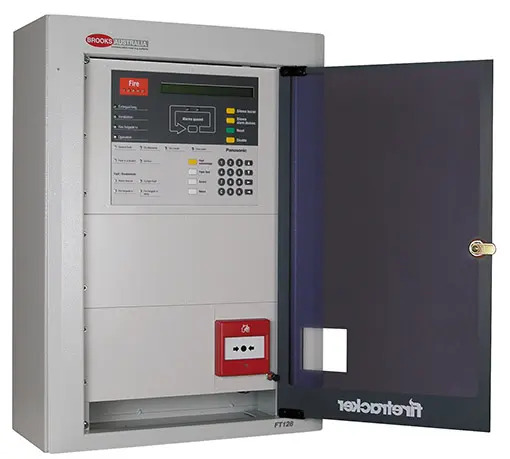 VMCTECH also offers maintenance programs to suit your business with regular inspections and testing also specializing in design, supply and installation of fire alarm systems. We have major affiliations with multiple Strata Companies ensuring we deliver Annual Fire Safety Statements on time as our maintenance team aims to achieve excellence in our field utilising key software packages to manage and keep track of all our sites. The primary purpose of a protection systems is to provide early warning of a fire so that building occupants can be evacuated and action taken to stop fire as soon as possible - all according to a predetermined plan. Alarms may be raised automatically, by smoke or heat detectors, or manually by a person operating a manual call point. To ensure an alarm is dealt with in an orderly manner, it is important to know where the alarm is coming from. To aid this function, the systems are usually split into zones, each covering a different area of a building. When an alarm has been raised, the system panel responds by indicating the zone in which the alarm has occurred and activating all relevant sounders, bells and other alarm outputs to provide a warning of the fire. Additional alarm outputs available on this alarm panel (which may or may not be used depending on the requirements of the site). Brooks are a leading provider of fire panels and solutions to the Australian market and have been since 1973. Our systems are designed and manufactured locally to meet strict Australian standards. When it comes to fire protection, Brooks recognise that residential applications require special consideration. In keeping with our philosophy of quality, reliability, flexibility and maintainability, and not content to just offer individual products, Brooks have developed a range of residential fire alarm panels to enable fire system engineering principles, normally applied to commercial premises, to now be adapted to residential situations. Brooks range of Firetracker intelligent analogue addressable fire detection and alarm systems are suitable for a variety of installations. The FT1020G3 is the third generation of Brooks intelligent analogue addressable systems. It meets the most stringent requirements in order to secure real fire alarms and to reduce nuisance alarms. ​Call us or email us today to discuss more about your Fire Protection requirements.